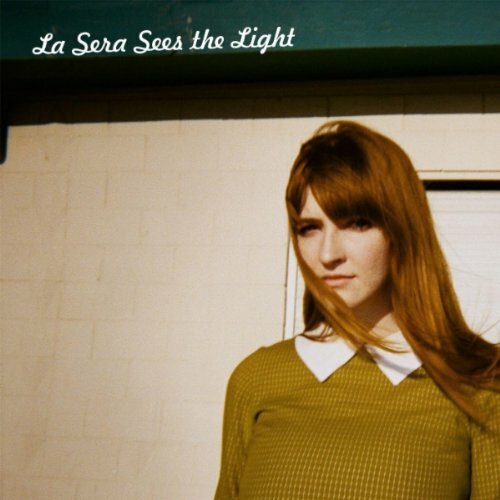 Sees the Light is the second solo album from La Sera a.k.a. Katy Goodman of the all female psychedelic-punk-surf group, the Vivian Girls. Goodman brings her sweet, soft-spoken vocals to a variety of genres on the album, never quite settling on just one. While musically the second song, Please Be My Third Eye, is solid, the song as a whole is worth skipping over. It sounds like a garage band with a little sister who desperately wanted to be part of the group, but didn’t quite get it (which is unfortunate since it’s a solo album and should make the singer the focus of each song). That said, Goodman quickly redeems herself with I Can’t Keep You in My Mind, and continues strong through the rest of the album. Some of the songs retain that garage-band feel, while others are musically more sophisticated. But all work much better with Goodman’s voice than the unfortunate aforementioned tune. The album seems to centre around the theme of breaking up, but focuses more on moving on than moping. As such it’s a great mood setter for those going through the end of a relationship. There are definite influences of 60’s girl groups like the Shangri-La’s, which seem to have carried over from Goodman’s role in Vivian Girls, but there are also hints of something more in line with the current female vocalist trends attributable to acts like Feist and Emily Haines. That said, I’ve yet to find a current voice similar enough to Goodman’s that it threatens to drown her subdued stylings out completely. While Goodman’s voice remains similar throughout all of her contributions to the world of music thus far – never fully revealing what she would sound like full-blown – this second album definitely has more personality and flair than the first La Sera release. With Sees the Light, the singer shows her potential to become a standout in the industry. If she continues to experiment and refine her style, Goodman could definitely develop a solid fan-base for La Sera.